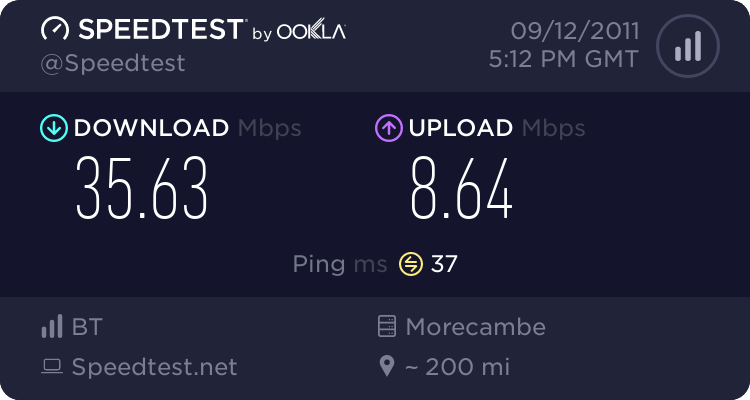 After 10 years with AOL I have just switched to BT. I am getting much faster and more consistant speeds than with aol. My question is can anybody tell me how to get snr and attn and other line stats from the home hub 3. I had no problem with my netgear but cannot find a way to do it with HH3. Thanks . I believe it's not easy to access the Modem stats. There have been posts (have a look) in the Forum. Understand there is a Firmware hack (if you are brave enough) to get access. They are wrong they are accesible, but don't have a HH3 around to describe how (accessed it on parents). Needed to update the router password, since with default shipped one it would not let me. But if memory serves right, after doing that it was somewhere under advanced stats. NOTE: Only applies to ADSL and ADSL2+ services. Thanks again andrew. Your advice worked. For others info, log onto bthomehub.home, change your password, then got to advanced settings, then broadband,then connection. I think what you are describing is for FTTC/Infinity customers. You will then have to enter your HH3 Password. Npw select Settings/ Advanced Settings/ Broadband / Connection and click on the Show Details button at the bottom. What Firmware version is your HH3 running?